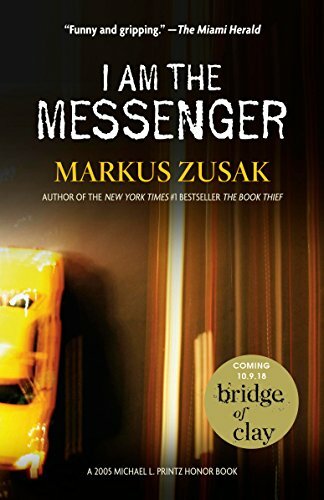 From the author of the extraordinary #1 New York Times bestseller The Book Thief, I Am the Messenger is an acclaimed novel filled with laughter, fists, and love. Ed Kennedy is an underage cabdriver without much of a future. He's pathetic at playing cards, hopelessly in love with his best friend, Audrey, and utterly devoted to his coffee-drinking dog, the Doorman. His life is one of peaceful routine and incompetence until he inadvertently stops a bank robbery. That's when the first ace arrives in the mail. That's when Ed becomes the messenger. $5.99 $1.99 Buy 66% Off!